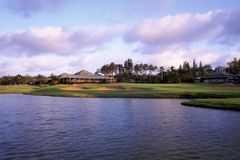 The Mount Edgecombe Country Club is located to the North of Durban, and its two terrific championship courses make it a fine addition to any golf holiday in KwaZulu Natal. Formerly known as the Hullets Country Club, the No. 1 Courseat Mount Edgecombe was redesigned by Hugo Baiocchi, and is one of the few in South Africa tobe constructed along USGA guideline. The parkland course builds nicely throughout, incorporatingmany water hazards, and measures close to 7,000 yards at its peak. The highlightis undoubtedly Mount Edgecombe’s very own ‘AmenCorner’ – 14, 15 and 16 present a true test to keep your ball dry! The highly acclaimed No. 2 Course has a rich heritage, havingbegum life as the Natal Estates Sports Club in 1924. Over the decades, thecourse has played host to PGA events and national amateur events, and since theredesign’s completion in 1994, Mount Edgecombe has been among the most desirable golfdestinations in kwaZulu Natal.